The 29th annual Carleton battle of the bands is this Friday! 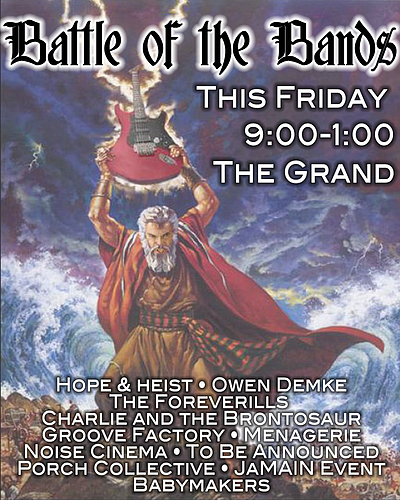 Come to The Grand from 9:00 - 1:00 to hear our school's finest bands in awesome rocking action! Q: Who is Quiz Bowl?